Medieval Spanish Chef: MAZAPANES - WITH A FAST AND SIMPLE RECIPE FOR MARZIPAN! 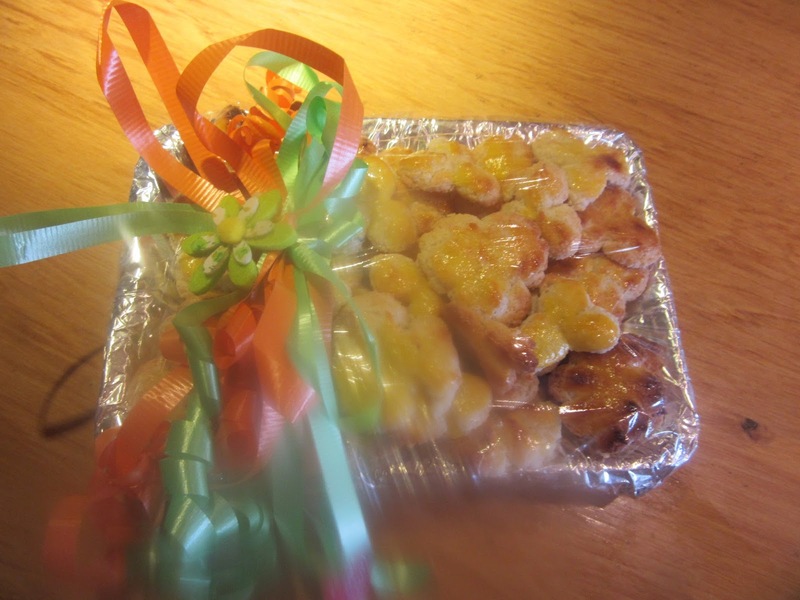 MAZAPANES - WITH A FAST AND SIMPLE RECIPE FOR MARZIPAN! A Quick Recipe for Modern Housekeepers! turrón blanco, Ar. mauthabān, Arag. mazápanicos (diminutive of marzipan, the term seems to imply endearment as Aragonese marzipan can be any size), Eng. marzipan, marchpane. Arab sweet adopted in medieval Iberia as a dessert, consisting of ground almonds and syrup, sometimes eggs were added and they were flavored with rosewater or cinnamon. Nola’s recipe calls for boiling ground almonds and a sugar syrup made with rosewater. Instead of boiling, sometimes it was baked and set to cool and harden. Marzipans have been made especially for Corpus Christi in León. Due to the poisonous nature of volatile oil, it is recommended that marzipan be eaten in moderation (see alemendras amargas). It cost 2 sueldos and 8 dineros in 1572. It was more expensive than nougat for the quantity of sugar used (see turrón). Marzipan from Toledo is famous all over the world. In Arabic “marzipan” literally means, ‘a king who remains at home and never goes off to war. . .’ What king would as long as he has marzipan? or they will disappear before dinner! Grind sugar and almonds in a food processor. Add rose water. Knead like dough. 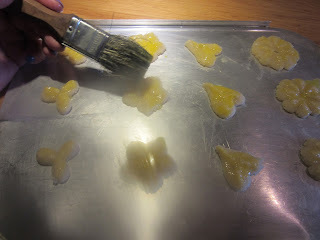 Roll or spread the paste out and cut it with cookie cutters or make shapes by hand. Place them on greased cookie sheets. Paint the figures with egg yolk. Grill 3-4 minutes. Take care to prevent burning. Let sit no more than 2 minutes on cookie sheets. Remove rapidly with a flat knife taking care that the figures do not break. Note: As of to date there are several recipes for marzipan published by the Medieval Spanish Chef as follows: bastamiento, Feb 22, 12, bollo, Mar 2, 12, cebando, Sep 24, 12, combinan, May 13, 13, ejarropado, Feb 3, 14, lustre, Jan 18, 16. Certainly the reader can improve on several. They are fun recipes to work with and are delicious no matter how they look in the end!